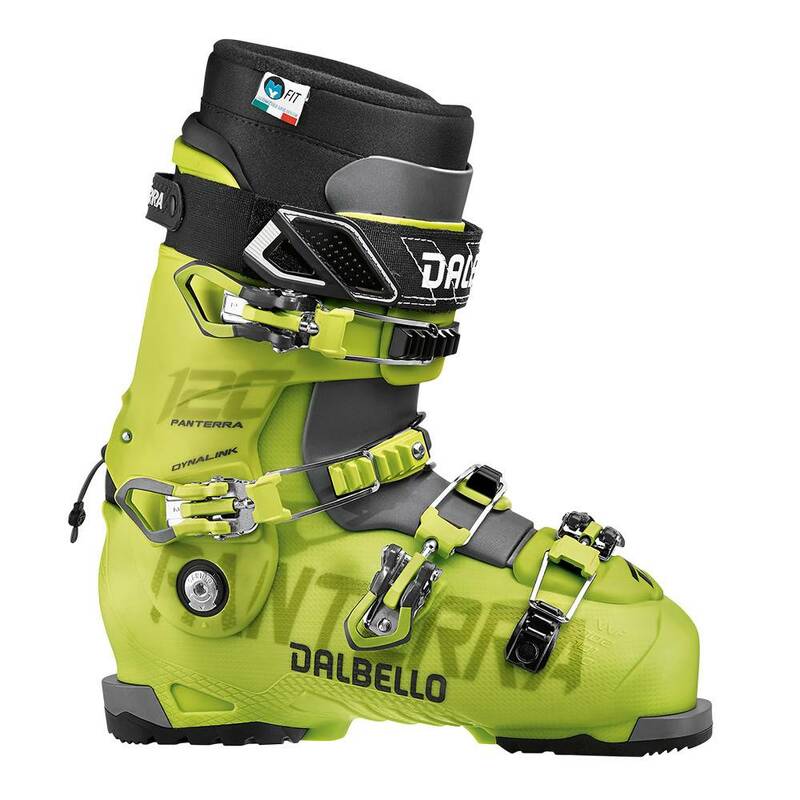 The ideal boot for advanced to expert skiers looking for a wide range of adjustment features and creature comforts, the Panterra 120 incorporates many of the structural and performance features of the popular Krypton, with the addition of a ski/walk mode for greater comfort. The shell design enjoys improved cosmetics with a much lighter overall weight, while Dalbello’s signature 3 Piece Cabrio design provides consistent flex and shock absorption combined with lateral power and rearward support. Contour 4 Fit Technology allows for an anatomical fit with extra room at the key hot-spots many skiers encounter, while the VFF Fit System enables the forefoot width to be adjusted via the toe buckle. Center Balanced “Rocker” Stance centers the skier over the sweet spot of the ski for more power and control with less effort. The Instant Fit Comp innerboots can be thermo formed after just a few minutes of heating by the shop, for an optional instant break in. For an individual, 100% fitting, the ID liner is the best choice!